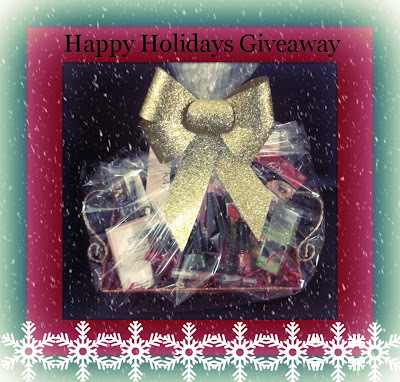 I have a very special giveaway to share with you today!!! A large group of us beauty blogger's wanted to show our appreciation to you, our wonderful readers, this Holiday season! There is also a $110 Gift Card. Here's the best part! There is a chance for you international ladies as well. If an international reader is drawn first, they will get the gift card and we will draw a US winner for the basket. If a US reader is drawn first they will win the whole thing! Huge, huge, huge thanks to Mercedes at Beyond Beauty Lounge for putting this whole thing together! The giveaway ends on New Year's Eve! Good luck ladies! thankful for family especially around the holidays! I am always thankful to reach another Christmas with my family by my side. I know my parents won't always be around...and sometimes they drive me crazy, but they are still my folks and this world will definitely be missing two wonderful souls when they depart this life. I love my husband with all my heart and my children are my world. Sandra B.
I'm Thankful for my family and friends. Especially the little ones that warm my heart and make me so happy to be their aunti. And last but not least,I'm thankful for my health. Thank you for the chance to enter your giveaway!! !